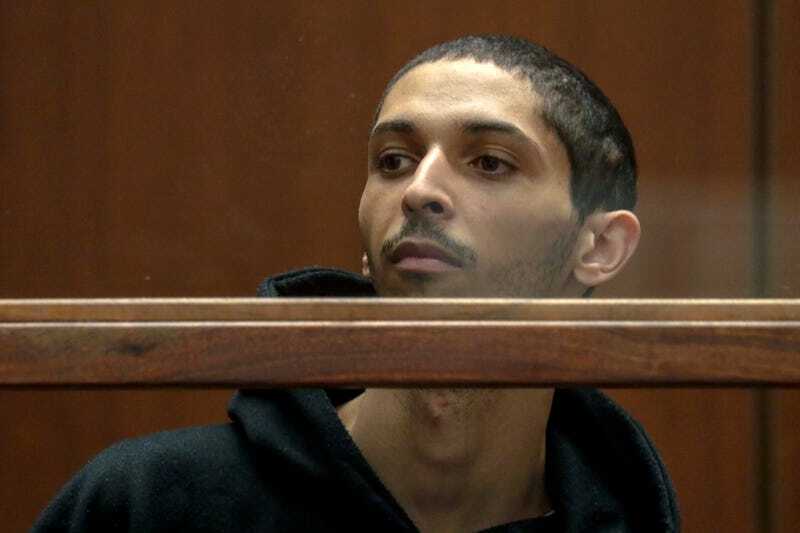 Twenty-five-year-old Tyler Barriss was charged today in Kansas for involuntary manslaughter and two other counts in the wake of a swatting call that led police to kill an unarmed 28-year-old at his home. The maximum sentence varies but if found guilty, Barriss could face a hefty fine and years in prison. Police say that Barriss had called police to report a hostage situation, telling officers on December 28, 2017 that he had his family at gunpoint and had doused the house with gasoline. He then gave them an address for 28-year-old Andrew Finch, who was shot and killed by an officer when he answered the door. That officer is now on paid administrative leave. Barriss reportedly made the call after an argument between two Call of Duty players led to one giving the other an address. That player then reportedly gave the address to Barriss, who was known in the community for swatting—making false police reports in order to get officers to show up at an adversary’s house. The address turned out to be unrelated to anyone involved with the dispute, however, and instead led police to Finch. Barriss was also charged with giving false alarm and interference with law enforcement. His bond is set at $500,000. As Glixel points out, Barriss is also being charged for a swatting incident in Calgary, Canada in late December. Nobody was hurt in that case.